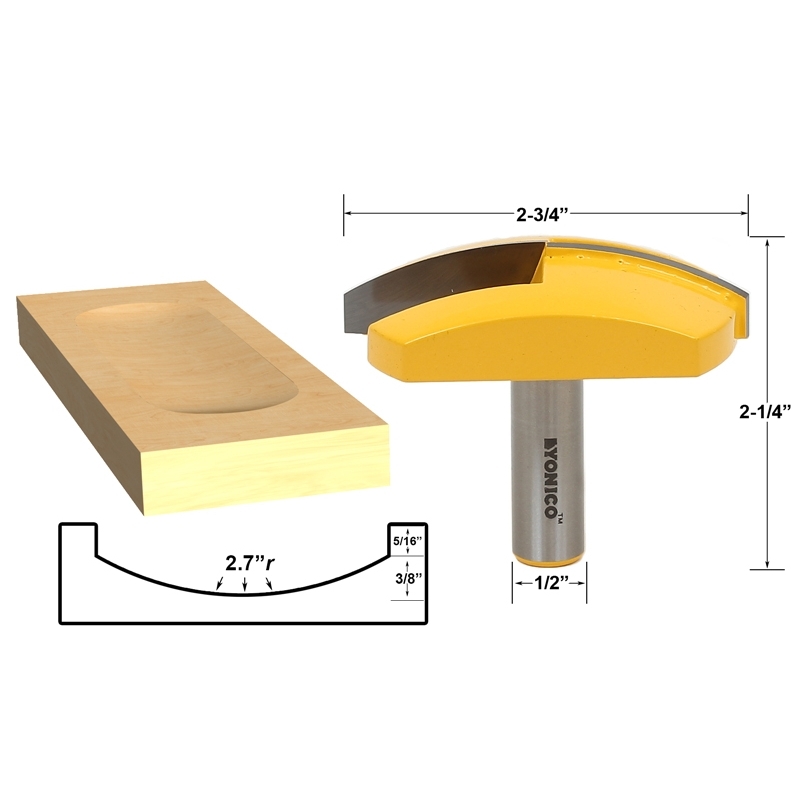 Use the Yonico 16172 Router bit to create a 2.7" radius concave bowl or crater-like indents at 2-3/4" diameter across and 3/8" deep. May be plunged deeper to create side walls or shallower for a smaller diameter. Blades meet in the center allowing true vertical plunging. CNC compatible. 1/16" thick carbide. Horizontal crown router bits, also referred to as large bowl router bits, create large spherical indents in a variety of materials and can be plunged straight into the work piece. 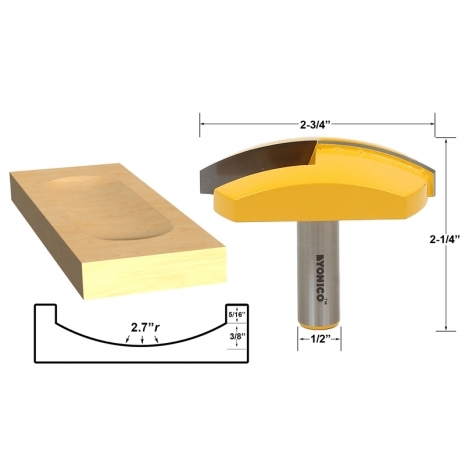 These are perfect for making large custom crown moldings, bowls, coin trays, mancala game boards and other interesting projects. These can be used on solid wood and MDF.